PANDORA is a universe of jewelry. Each piece is Danish designed and handcrafted in sterling silver or 14K gold. Many pieces incorporate pearls, semi-precious and precious stones. World famous for the bracelet and twist-on charm design. 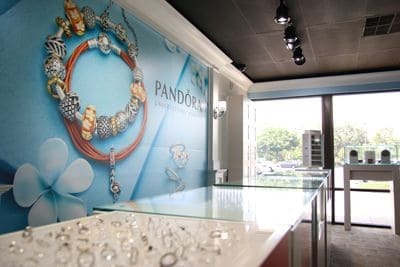 PANDORA is patented on the threaded design of its unique system (U.S. Pat. No.7,007,507). PANDORA bracelets are easily interchangeable and the modular design allows the wearer to change the beads to dress up the bracelet for an elegant look, or change the bracelet for a more casual wear at a moment’s notice. PANDORA also offers a whole collection of earrings, rings, and coordinating necklaces that coordinate with the most popular bead designs. 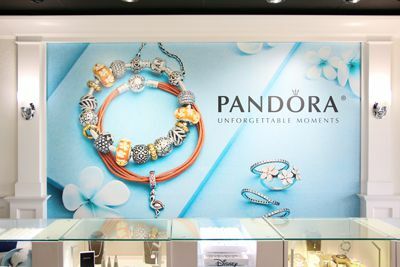 Please visit our store to see the latest collection of PANDORA. 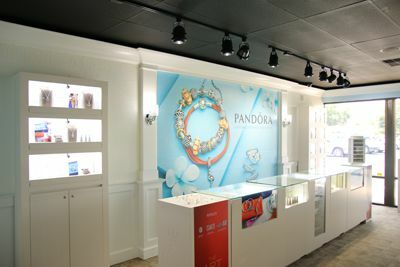 Send us an email to order PANDORA products or call (352) 686-5515.